Last week, Business Insider took a look “inside” BASIS Independent Silicon Valley to find out how our students are well on their way to becoming the next Elon Musk or Mark Zuckerberg. They discovered that at BASIS Independent Silicon Valley, students are competing at an international standard: sixth graders are already expertly using Bunsen burners while seniors take deep dives into specialized subject matter in capstone courses, and they are achieving higher test scores in math, reading, and science than their global peers. We are so proud of these students and our school for this recognition. Read the article to get a full glimpse into the day-to-day life of the BASIS Independent Silicon Valley learning community. 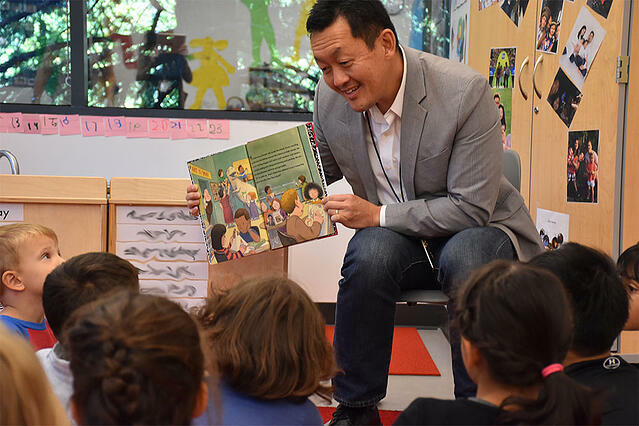 This article by InsideNova offers extensive insight into our amazing Head of School Ron Kim at BASIS Independent McLean! Mr. Kim spent 23 years as a teacher and administrator, bringing an enormous amount of experience to his school community. In the interview, he shares what drew him to BASIS Independent McLean in the first place, as well as some of his vision for the future of education.